It’s a show business warning that is as valid today as it ever was. By reading the following article, excerpted from his new book The 11 Contracts That Every Artist, Songwriter and Producer Should Know, entertainment attorney Steve Gordon will school you on how to proceed, what to look out for and what questions to ask the next time a sync deal comes your way. This article focuses on the use of music in audiovisual works such as movies, television, TV commercials and video games. I will provide examples of the amount of money you can expect to make, explain the role of Performing Rights Organizations in collecting additional income on behalf of songwriters, discuss the key provisions in standard licenses, and describe the role of publishers, sync reps and other licensing agents. This article also provides comprehensive comments on the following three licenses: (1) MTV’s “Music Submission Form,” (2) a license for use of music in a TV commercial, and (3) a license for music in a television movie. If you get a similar deal, you will know what to look out for, how to make the deal fairer, and how to decide if it’s still worth it if the company that wants to use your music won’t negotiate. “Sync” licenses are agreements for the use of music in audiovisual projects. In its strictest sense, a sync license refers to the use of a musical composition in an audiovisual work. The term “master use” license is sometimes used to refer to the use of a sound recording (sometimes referred to as a “master”) in an audiovisual work. While sync licenses can only make money for songwriters, master use licenses can make money for both songwriters and recording artists. It is possible for a license to include both a grant of rights in a song and a master if the same person wrote the song and produced the master. Copyright law protects “musical works,” such as songs and accompanying words as well as orchestral works, librettos and other musical compositions. Copyright also protects “sound recordings”; that is, recordings of musical compositions. Indie artists/songwriters who record their own songs generally own the copyrights of both their songs and masters. But once that artist/songwriter enters into a music publishing agreement, she generally transfers the copyright in her songs to the publisher, and the publisher pays her a royalty from the commercial exploitation of the songs, including “syncs.” If the same artist/songwriter enters into a standard recording contract, any record in which she performs during the term of the agreement is usually a “work for hire” for the record company. In that case (as explained in further detail below) the record company owns the copyright for the recordings, and pays royalties to the artist for both record sales and master use licenses. However, in this article, we are going to look at sync and master use licenses from the point of view of songwriters and artists who have not entered into any exclusive publishing or recording agreements. Since an indie artist/songwriter does not have a publisher or label to negotiate sync and master licenses for her, she should have her own lawyer, or at least possess enough knowledge to avoid unfavorable contracts. Whether you are an indie artist, songwriter or producer, in this article, you will learn what questions to ask, what you can do to make the contract that you receive fairer and when you should just walk away. Before the genesis of hip-hop in the early 1970s and the emergence of producers like Kool Herc, the role of producers was not to create music, but to help artists record their music and make it as professional as possible. However, that has all changed. In pop, R&B, and especially hip-hop, producers do create new music by providing beats or even complete music floors over which an artist sings. In that case, the producer is creating two copyrights: 100% of the sound recording and a part of the musical composition. Therefore, producers often sign publishing deals. The producer will generally have to transfer the copyright in any part of the musical composition that they contributed, such as the beat. • The professional standing of the musician: If an ad agency regularly turns to certain producers to create music for a client’s ads, it probably will have worked out a standard fee with that producer. • The nature of audiovisual work for which the music is sought and whether the song was a hit: A major motion picture will usually pay from $10,000 to $25,000 for a song or master by an indie writer, artist or producer. However, the exact amount depends on how many times the song is played and if it will be used in the beginning or end credits (there is also often an additional fee if the song is used in the trailer). But, an indie filmmaker may only be able to afford $5,000 or less for any song or master. Don’t be surprised if they offer you no more than a credit. At the beginning of your career, a credit on the movie and on IMDB (an online database of information related to films, television programs, and video games, including cast, production crew such as music composers and musicians, biographies, plot summaries, trivia and reviews) could be valuable. In contrast, a pop hit in major studio movie can easily fetch $100,000 or more. • The type of TV commercial: In the case of a TV spot, the biggest factor is whether the commercial is national (which may pay from several thousand to over $10,000 for an indie song or master) or will only play in one or several markets (which often pays less). But, for a hit song, the fee could well be in the six figure range and even more for a hit by a superstar artist. • The type of TV program: Here, the most important factor is whether the program is network or basic cable. Usually, but not always, network shows will pay better than shows on basic cable. The money for an indie songwriter or producer could range from no more than the royalty payable to the songwriter by his Performance Rights Organization (see below) to $2,500 to more than $10,000 depending on how much the production company or network wants the music. • Who owns what: If the master and the song are owned by different parties—for instance, if you wrote the song but your producer owns the track—a license will be needed with each of you. A songwriter may earn “public performance” income from the songwriter’s Performance Rights Organization or “PRO” (i.e., ASCAP, BMI, SESAC or the recently organized Global Music Rights or GMR) when her music is “publicly performed.” For instance, a songwriter can receive money when her music is broadcast as part of a television show or played on a computer game. This income may be the only income that an indie songwriter receives, or could be in addition to the up-front sync fee. Each PRO has rules that determine the amount of money that should be paid for a performance in an audiovisual work. The public performance income from a song in an audiovisual work can be substantial in some situations. For instance, if music is used in a national TV commercial that airs on network TV, the PRO royalty can exceed the sync fee. In contrast, when a small amount of a song is used in the background of a single scene in a basic cable program, the public performance income can be very small. When the public performance income will be substantial, you may decide to accept a lower sync fee rather than potentially losing the deal altogether. Note that we are only discussing the public performance income payable for the musical composition. The same considerations do not apply to the owner of the master recording—i.e., an artist or a producer. Under U.S. copyright law, the owners of master recordings, unlike the owners of the underlying songs, are not entitled to public performance income for the broadcast of their recordings except via digital transmission such as Spotify, YouTube and Pandora, etc. If a commercial is intended to play on network TV, the commissioning company will generally try to get Internet rights for little or no additional compensation (see Media below). SoundExchange, similar to the PRO’s for compositions, collects income for the public performance of music recordings, but only for audio-only Internet Radio services such as Pandora. The situation is different in most foreign countries, where artists can earn performing rights royalties for the “public performances” of their master recordings on television as well as standard broadcast radio. In short, the owner of the master recording’s only source of U.S. income from the master use license will be the up-front master use fee, which she receives from the company for a TV commercial, movie or TV show. If the owner of the master is not the songwriter, he will not be receiving any public performance income from the PRO’s (or SoundExchange), so he may feel more of a need than the songwriter to negotiate the highest possible up-front fee. Each PRO has requirements that make writers responsible for properly registering their songs and for notifying the PRO’s of any audiovisual projects that may generate performance income. I spent a year trying to get one PRO to pay for the theme song of a cable talk show because the writer did not provide a “cue sheet” before the broadcast of the series. A cue sheet is a schedule of the music contained in a film or television program or any other audiovisual work and is essential for the PRO to distribute royalties for musical performances in audiovisual media. It is typically prepared by the production company, but the writer will not get paid unless the production company actually files it in a proper and timely manner. See below for an example of a cue sheet. Some licenses require a songwriter to yield all rights in a song to the company. In that case, the writer has no right to receive any PRO royalties. However, there are cases in which the company requires the transfer of the copyright in the song, but allows the writer to receive the “writer’s share” of performance rights income (that is, 50% of the total amount payable by the PRO). In that case, the writer has to make sure the company is properly registering the song, providing cue sheets to the PRO and complying with any other forms that have to be completed. It’s always better that the artist, songwriter and producer retain their copyrights. However, sometimes the work for hire clause will be non-negotiable, and then the creator must ask herself: whether the up-front money (and in the case of a songwriter who retains the writer’s share, the potential PRO royalties) adequately compensates for the loss of the right to use the music. WORK FOR HIRE: Artist [Songwriter and/or Producer] agrees that all of the results and proceeds of his services shall be deemed a “work made for hire” for the Company under the U.S. Copyright. Accordingly, the Artist further acknowledges and agrees that Company is and shall be deemed to be the author and/or exclusive owner of all of the Recordings and Musical Compositions contained therein for all purposes and the exclusive owner throughout the world of all the rights of any kind comprised in the copyright(s) thereof and any renewal or extension rights in connection therewith, and of any and all other rights thereto, and that Company shall have the right to exploit any or all of the Recordings in any and all media, now known or hereafter devised, throughout the universe, in perpetuity, in all configurations as Record Company determines, including without limitation [name of movie, TV show, TV commercial, etc.] In connection therewith Artist hereby grants to Company the right as attorney-in-fact to execute, acknowledge, deliver and record in the U.S. Copyright Office or elsewhere any and all such documents pertaining to the Recordings if he shall fail to execute same within five (5) days after so requested by Company. • Theatrical Films: Generally for the “life of the copyright.” In other words, the company’s right to use your music will last as long as the song is protected by copyright law, which is as long as you’re alive plus 70 years. • Television: Generally, the same as above. • Computer Games: Could be “life of the copyright,” or a briefer term such as three to five years. There are few games which will have a life span of more than a year or two, so in most instances, the company won’t consider it all that important to obtain a long-term license. 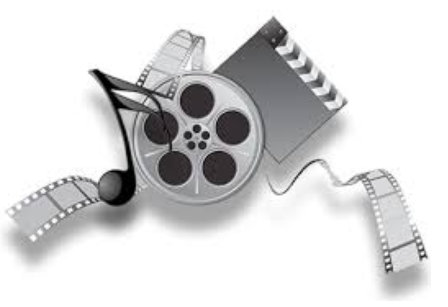 • Theatrical Films: Generally, a movie producer, production company, or studio will want the right to use a song or master in festivals for one year, with an option to exploit the movie, including your music, in all media (“broad rights”). • Television: Generally, the network or cable service will want all media rights because a TV show can be recycled in any number of platforms such as streaming, downloading, home video, etc. Talent should, however, try to negotiate a separate fee for home video including downloading. • Commercials: Typically limited to TV and Internet, but the songwriter/ artist/ producer can try to secure an additional fee for use of the commercial on radio. • Computer Games: Generally all media now or hereinafter developed. • Television: The creator may be able to negotiate an additional fee for foreign use. • Commercials: Local, multiple U.S. markets, national or worldwide. Once you enter into an exclusive recording and/or publisher deal, your label and publisher will negotiate sync and master use licenses on your behalf. The split is generally 50% payable to the label and 25% to 50% payable to the publisher after recoupment of any advances (including, in the case of a label, recording costs) that they paid you. If you are familiar with the “sync business” you know that there are many companies, such as Pump Audio, that may be willing to represent your music for sync placements. Some are more selective than others, and some are more proactive in shopping your music than others. For instance, music libraries such as APM Music (Associated Production Music Inc.) have steady clients such as cable networks and ad agencies that continually scan the library’s collection for interstitial or background music. The reps’ fees vary from 65% in the case of Pump Audio all the way down to 20% or less, if a rep really loves your music. The biggest controversy in the sync licensing business is the exclusive vs. non-exclusive issue. The best argument to let a rep have exclusive rights is that they may be more motivated to shop your music. The best argument in support of non-exclusive is an exclusive rep may lose interest in your music and let it sit on a shelf for the duration of the agreement. The primary differences between a rep and a publisher are: reps rarely pay you an advance, but rep deals are usually limited to the song or tracks you wish them to present. Standard publishing agreements cover any songs you create during the term of the agreement. STEVE GORDON is an entertainment attorney with over 25 years of experience, including 10 years as Director of Business Affairs/Video for Sony Music. He is also the author of The Future of Music, fourth edition (Hal Leonard Books). See stevegordonlaw.com.